D.N.B, Ph. D - Orthopaedics, MS - Orthopaedics, M.B.B.S. 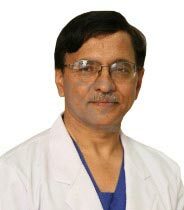 Dr.(Prof) Ramesh Sen, MBBS, MS, DNB, PhD (Orthopaedics), a stalwart in the field of Orthopaedics, is the Director of Bone and Joint at Fortis Hospital, Mohali. Prior to that, he was the Professor in the Department of Orthopaedics at the famous PGIMER, Chandigarh where he served for about 20 years. He has earlier been Vice President of Indian Orthopaedic Association and Chairman of the Research Foundation of IOA. After getting basic orthopaedic education from India, Dr. Sen got his specialised training in Germany and USA. Dr. Sen has bagged several awards & fellowships in countries like England, Holland, Germany, Hongkong, Taiwan, Malaysia , Japan, USA. Besides this, he has been visiting fellow to John Radcliffe Hospital, Oxford UK; Hospital for Special Surgery, New York (USA) and Nihon University School of Medicine, Tokyo, JAPAN. Dr. Sen is a member of several international & national professional societies and a postgraduate examiner in countries like Malaysia & Mauritius. He also has the privilege of being AO International Faculty contributing in Orthopaedic knowledge updating of surgeons in South East Asia and Arabian countries. To his credits, he has been elected as the President of the Association of Pelvi-Acetabular Surgeons of India. He has more than 150 publications in international & national orthopaedic journals and has presented more than 300 guest lectures, including more than 50 in international scientific meetings in about 15 countries.